Pass through the pristine green fields and age-old bogs of this trail and you’re hitting the very centre of Ireland’s ancient history. See things through the eyes of our ancestors as they sat around campfires 9,000 years ago, celebrated sun gods and built incredible oak roads. Swirling with myth, rippling with history and surrounded by some of Ireland’s most haunting landscapes, this three-day tour is more than just a step back in time – it’s an escapade with the ancients. In the middle of a swathe of pristine green fields lies a site that touches at the very heart of Irish history. 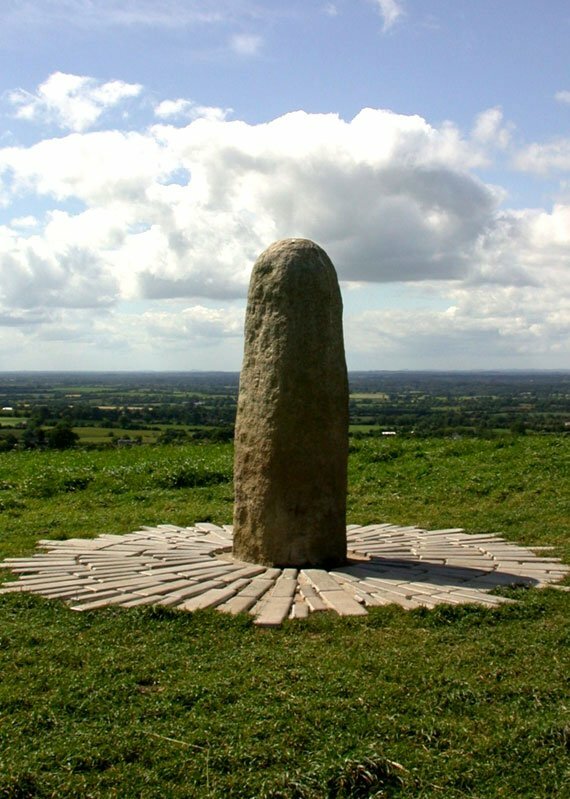 This is the Hill of Tara – a place with a 5,000-year history, seat of Ireland’s High Kings and capital of the mythical god-like race of Tuatha Dé Danann. Legend meets history here in spectacular fashion, as a special atmosphere haunts the emerald-coloured mounds, hills, ditches and banks. The verdant landscape continues towards the heritage town of Kells, famed for its high crosses richly carved with biblical scenes. 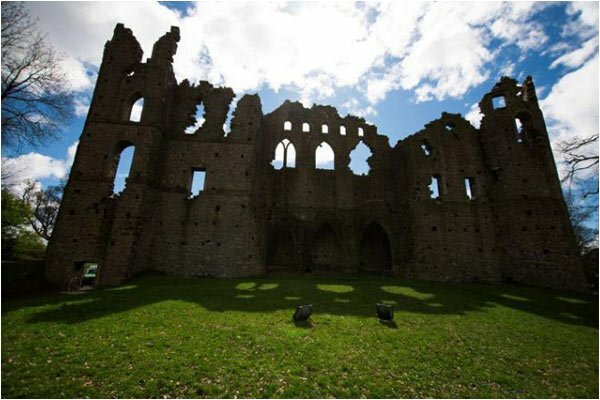 From Kells, you’ll pass the two loughs of Bawn and Lene towards Fore Abbey, a grey ruin that rises spectacularly out of a lush, tranquil valley. Founded by St Fechin in the 7th century, Fore is famous for the “seven wonders”, including water from a holy well that doesn’t boil and a tree with three branches that won’t burn. The tearooms at Tullynally Castle Gardens are ideal for a pit stop before wandering around this Gothic building, home to the Pakenham family for over 350 years. 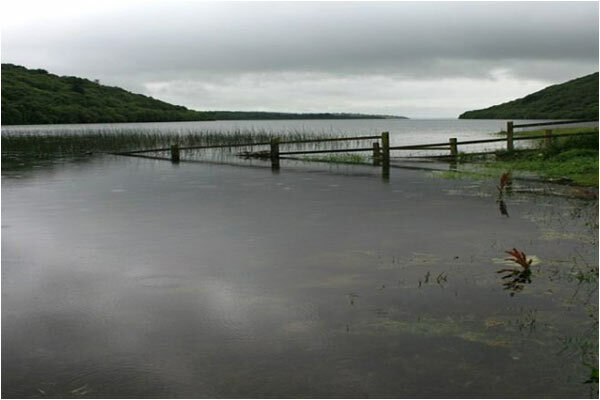 Overlooking Lough Derravaragh – the legendary lake of the Children of Lir – it’s the largest house in Ireland still in private hands. Try the Sunday afternoon Victorian tour, to learn about the secrets of “life below stairs”. Fascinating. A wife cruelly imprisoned for 30 years, a man famed for his jealous outbursts, accusations of adultery…it’s all going on at Belvedere House. Set within 160 acres of parkland on the edge of Lough Ennell, this Palladian country house may look tranquil but its history is anything but. Uncover the turbulent story of cruel Robert Rochfort and his famous “Jealous Wall”, before chilling out in the Catoca Café in the courtyard. Then take to the road through the green fields of the Midlands towards the Hill of Uisneach, a sacred place intrinsically linked to Ireland’s rich mythological past. The hill abounds with fascinating tales of the Sun God Lugh, who is said to have died here, and Ériu, the goddess after whom Ireland is named. A seat of Ireland’s high kings, Uisneach has been visited over the years by everyone from St Patrick to James Joyce. Moving into the picturesque valley of the River Inny, stop off at Abbeyshrule, one of Ireland’s first Cistercian abbeys founded in 1150, before heading to Longford’s Corlea Trackway Visitor Centre. Here, traces of Iron Age man survive in an incredible stretch of 2,500-year-old bog road, the largest of its kind to be uncovered in Europe. Take a leisurely walk in the wooded glades of Portlick Millennium Forest on the eastern shore of Lough Ree in County Westmeath. Or time your visit for Bealtaine, Festival of Fire, a rich revival of Ireland’s pre-Christian history. It re-enacts the lighting of the fire at the Hill of Uisneach in May to celebrate summer’s arrival. As you drive towards Moate from Glasson, you’ll pass through the small village of Mount Temple, so named because the daughter of local landlord Robert Temple rode her horse up the Norman “mount” in the early 18th century. Next, you’ll enter the world of 19th century rural Ireland at Dún na Sí Amenity & Heritage Park, with a typical farmhouse, ancient ring fort, blacksmith’s forge and hedge school. Did you know that the rectangular shape of farmhouses were due to local superstition? Take this fascinating journey back to a time full of interesting stories and enjoy a spot of lunch at the tea rooms too. Drive into Athlone, and the first thing you’ll see is the big stony crag of Athlone Castle on the banks of the River Shannon. Packed with multimedia and multi-sensory experiences, the exhibition includes a 360º cinematic recreation of the bloody 1691 Siege of Athlone – a ferocious 10-day assault on the town. Save some time next for Drum Heritage Centre. Located just outside Athlone, this is a treasure trove of memorabilia, with literary works, emigrants’ letters and a huge map showing all the old mass paths leading to Drum. Lastly, pop back into Athlone for an evening visit to Sean’s Bar, which claims to be the oldest pub in Europe. Cycle part of the Old Rail Trail, a dedicated cycle path that follows the old rail track under arched bridges from Mullingar to Athlone. You may also like to take in the countryside by following the trails of the ancient Norsemen: Viking Ship Cruises run scenic river tours from Athlone to Lough Ree every day, but book ahead to ensure your place on deck. Leaving Athlone, the creative relationship between landscape and people is epitomised in the Celtic Roots Studio. A tour of this charming Économusée brings you through the area’s 4,000 year old bogs, as well as charting the journey from raw material to finished bogwood sculpture. As you take to road again, watch out for the village of Cloghan with the only roundabout in the world called “The Square”. 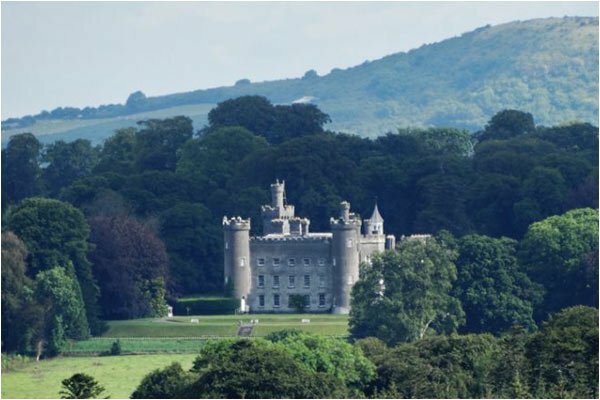 Heading towards Birr Castle, the road is lined with a patchwork of farmland, but ready yourself for the main attraction. 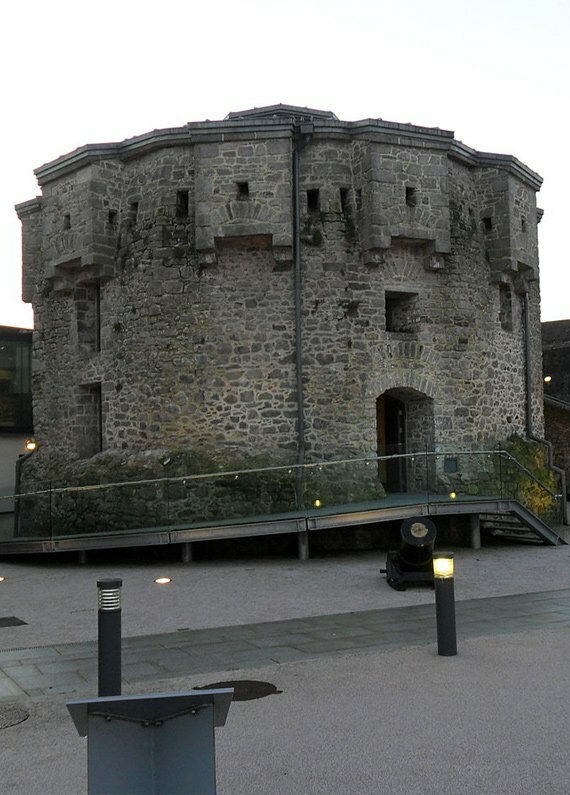 This 17th-century castle is more than just a piece of architectural history – it contains what is thought to be the oldest dark room in the world, as well as a monumental telescope from the 1840s called the Leviathan, which was the largest telescope in the world for over 70 years. Enjoy a relaxed lunch in the tearooms before plunging back 9,000 years at the Lough Boora Discovery Park. Here, at the shoreline around 1,500 artefacts were found – remains of ancient campfires that date back to 6800BC. 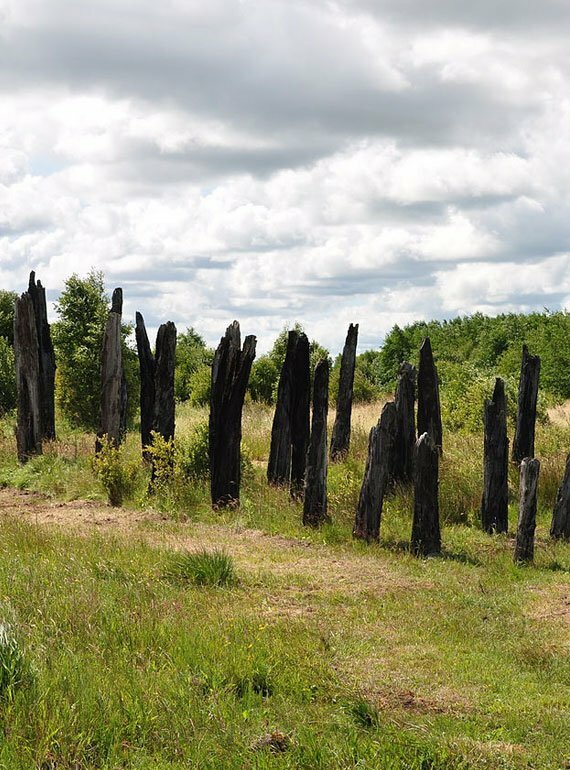 Walk through the ancient boglands and you’ll pass innovative outdoor sculptures, an old bog-cutting machine and Bronze Age gold armlets. It’s compelling stuff. 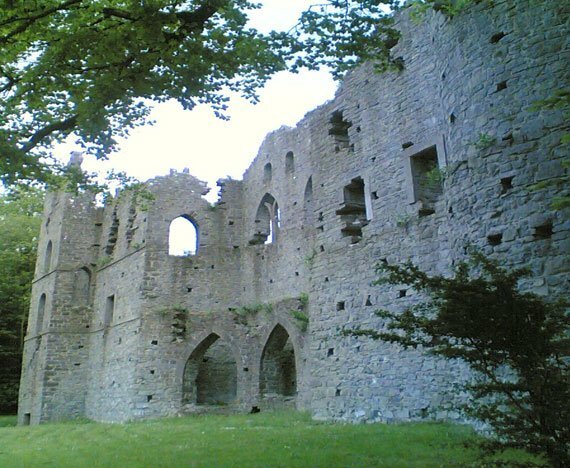 Take a stroll around the grounds of Durrow Abbey. 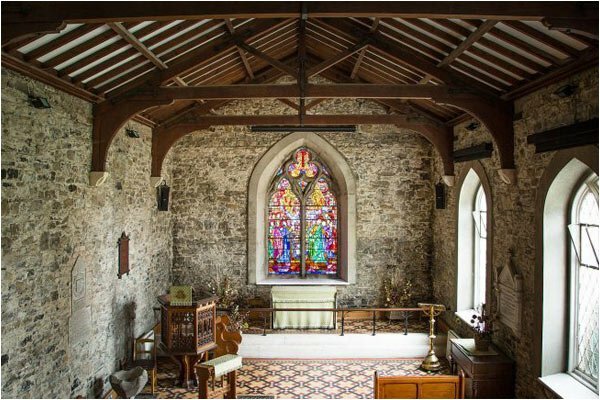 Originally founded by St Columba in 553, its monastic community is famous for producing the Book of Durrow (now held at Trinity College, Dublin). Breathe in the tranquil settings and discover incredible treasures, including a holy well and 9th century high cross. Another good stop is Kilcormac to see the Kilcormac Pieta in the Church of the Nativity of the Blessed Virgin Mary. This 16th century work, believed to be of Spanish origin, is the only one of its kind to survive the ravages of Penal times. 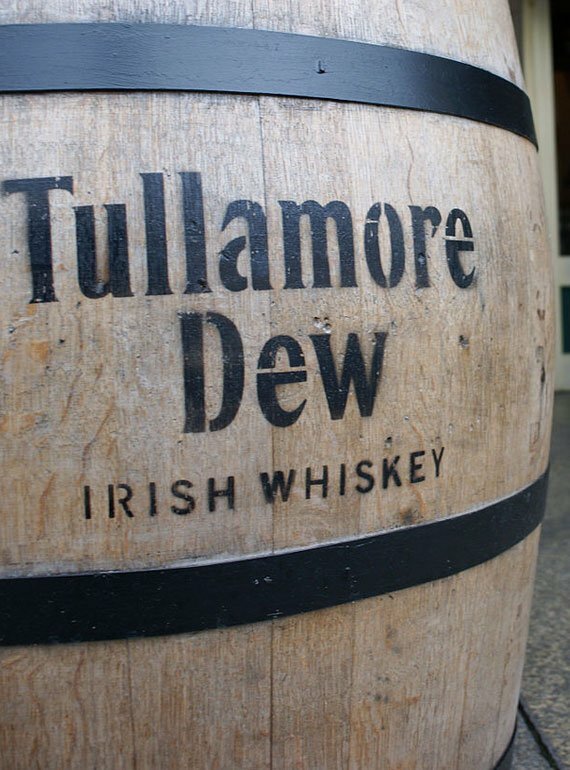 Discover the story of how a stable boy became the owner of a distillery at the Tullamore D.E.W Visitor Centre. The full tour will take you through each stage of the whiskey-making craft, as well as giving you a chance to create your own unique blend of Uisce Beatha. The quiet beauty of the landscape has a calming effect as you drive towards Lullymore Heritage and Discovery Park, set in 60 acres of parkland. Now a vibrant outdoor park with a Famine Cottage, Biodiversity Walk and Fairy Village, Lullymore was once an idyllic monastic retreat, offering shelter and seclusion, but in the early 18th century, all that changed utterly – every person was massacred except for one monk, Thomas Foran, who somehow managed to escape. Moving into Kildare Town, spare a thought for St Bridget who arrived here around 480 with a group of nuns. Now a vast cathedral stands on the very site she built her first simple church. 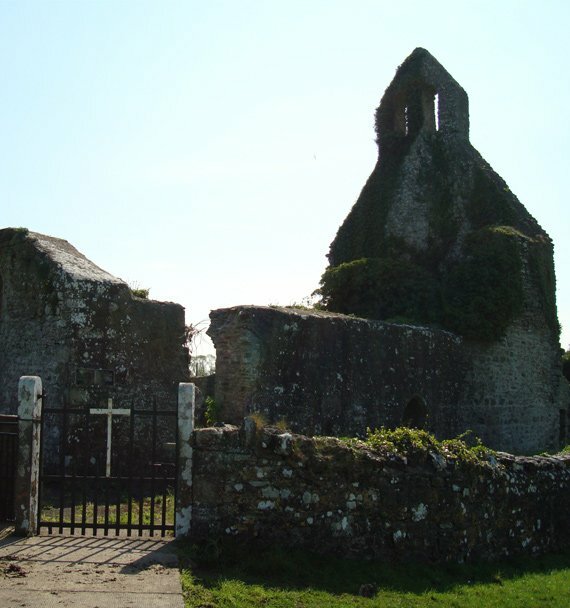 It’s here you’ll find the highest round tower in Ireland, as well as St Brigid’s Fire Temple. A fire was said to have been lit here since pagan times – in 1993 it was symbolically re-lit and now is kept at the Solas Bhride House. Sail away with Ger from Bargetrip.ie in Sallins, County Kildare, as he reveals how life was lived along the Grand Canal. Or why not treat yourself to something mouth-watering from the lunchtime menu at Hartes of Kildare. This establishment was winner of the YesChef Best Restaurant in Leinster Award 2015.